The Bran Castle (known in German as Törzburg) is one of the most reputed touristic attractions of Romania and also one of the most mesmerising medieval strongholds in Transylvania. It is located in the proximity of a former significant Transylvanian Saxon urban center, namely Kronstadt (Romanian: Brașov) in the historical region of Burzenland (Romanian: Țara Bârsei), south-eastern Transylvania. The marvellous medieval construction stands at a 760 m altitude, on a hill top surrounded on all sides by a rocky landscape and a thick forest. Its history starts in the 13th century when the Teutonic Knights were given right by the King of Hungary to build a motte-and-bailey fortification that was made mostly of wood and centred around a stone keep. The wooden fort was initially named ‘Dietrichstein’ and was meant as a means of observation and protection against foreign invaders that could trespass in Transylvania, at the time constituent part of the Kingdom of Hungary. The initial motte-and-bailey structure was destroyed by the Mongols in 1242 during the Mongol Invasion. Since the order of the Teutonic Knights was evicted from the region several decades later by the King of Hungary (fearing that they might become a truly imposant military force in the region without willing to obey to him anymore), the German colonists they have brought with them known as the Transylvanian Saxons (stemming from various regions of present day Germany such as Rhineland, Bavaria or Thuringia), had been given the privilege to build another fortification at their own cost and labour. It is known that during the 15th century the castle was used as a defensive strategic position against the Ottoman Empire and that it subsequently became a trading post between the Principalities of Transylvania and Wallachia in the upcoming centuries. Although the castle is linked to the legend of Dracula given Bram Stoker’s exaggerated artistic license in the eponymous novel, Vlad Țepeș (the real historical character who was the Prince of Wallachia during the 15th century, from which Stoker inspired his novel) passed only a few times in the vicinity of the citadel. Bran remained a key military strategic position at the crossroads of the Kingdom of Hungary, the Principality of Moldavia and the Principality of Wallachia up until the 18th century. Currently, the castle is one of the most well known touristic attractions of Romania and features a collection of furnitures and art pieces of Queen Marie of Romania. Near the castle there’s an annual open-air museum exhibiting traditional Romanian folk costumes and rural structures (such as barns or cottages). 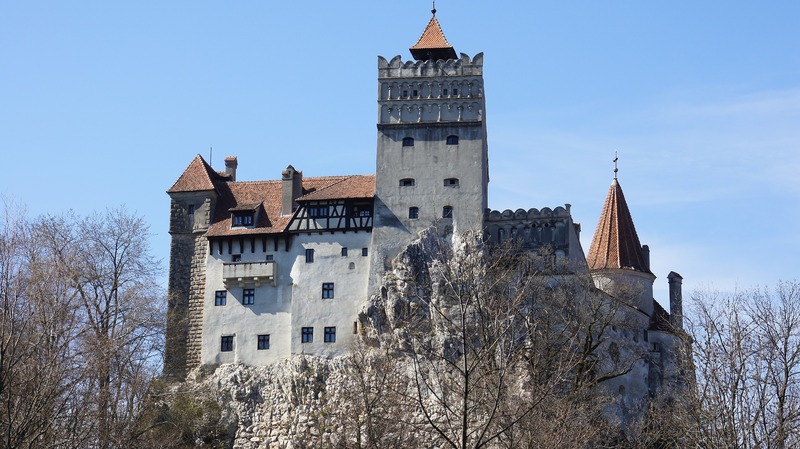 If you plan on visiting the Bran Castle, you can check the official website of this medieval landmark for more details here.